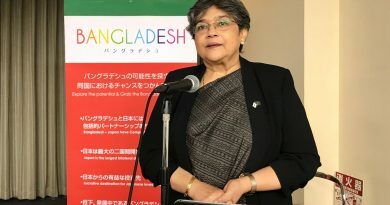 The visiting Foreign Secretary of Bangladesh Md. 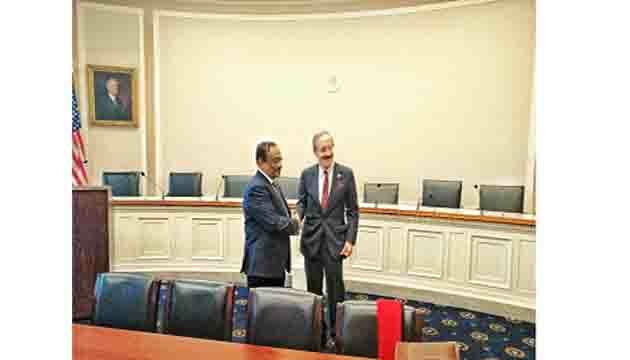 ShahidulHaque met with House Foreign Affairs Committee Chairman Congressman Eliot Engel at the Hill today. 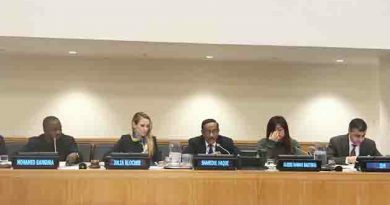 At the meeting, Congressman Engel referred to the ongoing Rohingya Crisis and appreciated the government of Bangladesh for hosting the persecuted Rohingyas. Congressman Engel expressed his hope to visit Bangladesh soon and see the Rohingya camps and hold talks with various stakeholders. Foreign Secretary Haque thanked Congressman Engel for his initiatives in the House Foreign Affairs Committee to adopt resolutions condemning the atrocities on the Rohingyas and putting greater pressure on Myanmar so that the latter stops persecution on the Rohingya people. 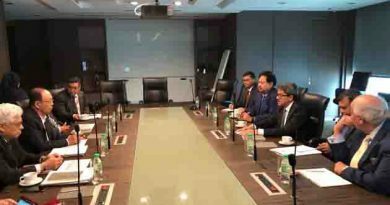 Later the Bangladesh Foreign Secretary exchanged views with a group of staffers from both House Foreign Affairs Committee and the Senate Foreign Relations Committee. The Foreign Secretary briefed the staffers on various aspects of Bangladesh Foreign Relations, the ongoing Rohingya crisis and Bangladesh’s trade and investment opportunities in US and other countries. Foreign Secretary also met with Jennifer Wethey, Acting Deputy Assistant to the President and ZebaRayazuddin, Acting Assistant US Trade Representative. Earlier in the day, the Foreign Secretary addressed a group of scholars at the Heritage Foundation. Foreign Secretary shared his ideas on evolving orders in Asia. Yesterday (23 January 2019) Mr. Haque met with senior executives of National Cotton Council (NCC). Foreign Secretary Haque held a meeting with Assistant Secretary, Asia-Pacific, Department of Defense, Mr. Randall Schriver. Various issues relating to US-Bangladesh defense cooperation came up at the meeting. Bangladesh Ambassador to USA Mr. Mohammad Ziauddin and senior officials of Foreign Ministry and Bangladesh Embassy in Washington D.C. accompanied the Foreign Secretary during the meetings. ← Venezuela plunges further into crisis amid a growing row over Nicolas Maduro’s presidency. 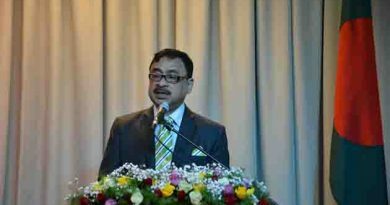 Bangladesh seeks a safe, dignified, voluntary and sustainable return of the Rohingyas to Myanmar, says Bangladesh Foreign Secretary in UNSC.